Advent was probably started in the fourth century and was a time when Christians readied themselves for baptism. In the middle ages, Advent began on November 11, the feast day of Saint Martin and would continue until Christmas Day. It was a time of fasting and prayer with a concentration of the second coming of our Lord, Jesus. In the last fifty years, the emphasis has been on the Nativity of Jesus. It is a time of anticipation and spiritual readiness for Christmas day! By the 16th century, Christians had adopted this wreath and used it as a symbol much as we do today. There are four candles on the advent wreath, three purple, and one pink. The purple candles, that are lit on weeks one, two and four, symbolize hope, peace, and love. The pink candle, lit on week three, symbolizes joy. Each week as Christians prepare for the coming of Christmas they ponder on and pray for hope, peace, joy, and love! There are many modern adaptations of the Advent wreath, but they primarily symbolize the same thing. You can see the modern and easy Advent Wreath above HERE. Advent itself is a time of “readiness”. 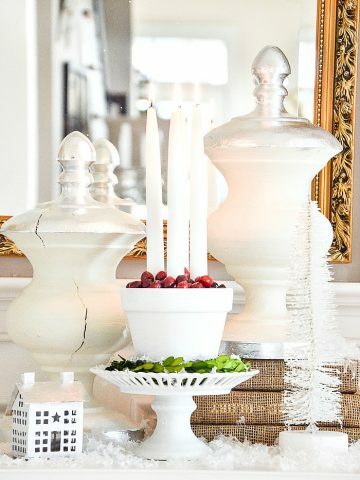 It’s a time to reflect and prepare our hearts for Christmas Day. The day we celebrate the fulfillment of many prophesies about Christ. Jesus’ second coming will be to judge the whole world and to rule it forever! We who are saved by Jesus’ first coming will be safe from His righteous judgment. 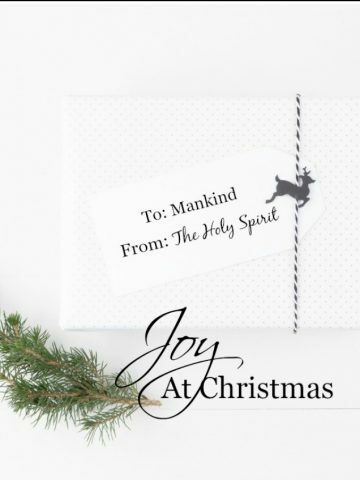 You can go online to find great Advent devotionals to help you prepare your heart during this holy time of the year! I thoroughly enjoyed reading about Advent in this post. You have such a gift for explaining things. It is nice to read about the story of how Advent began and know that Christians continue to celebrate the coming of our Lord all over the world. What version of the Bible are you using? I like reading your scriptures from your Bible. Thank you for sharing your vast knowledge in such a beautiful post. Love your blog! Thank you for the explanation – beautifully written and informative! I did, however, find it hard to read because the ads kept popping in and out moving the text up and down forcing me to I constantly have to find my place in the text. Also, many times the ads cover the beautiful photos you post. Is there a way to keep all ads on the right side of the window? Thank you for sharing your faith and wisdom. Have a Blessed Merry Christmas! TEACHER…Thank you for sharing such a wonderful lesson! HAPPY HOLIDAYS! Yvonne, I have read and followed your blog for quite some time. I thoroughly enjoy your weekly menu ideas and decorating articles But you have a special gift for this type of writing, as a result I’ve almost begun to think of you as an on-line Sunday School teacher–in the most delightful way, of course. Thank you for publishing this post on the Advent; I had never celebrated it or been taught of it. I grew up thinking it was a “Catholic thing”. Now I’m blessed to know otherwise. Lost in translation: Advent is a wonderful preparation time for the birth of Jesus. Advent is an english derivative of the two Latin words: Ad Ventus. Ad, as in the english word advance and Ventus we we use in the medical word ventilator. Advance to the first breath of Jesus. Epiphany is a Greek word similar to Eureka: I have found! and recognized the baby as the Christ, the Redeemer! Merry Christ mass, and the happiness of Epiphany. I love your post on Advent. I did not know what it meant except that it was to celebrate the birth of Jesus. 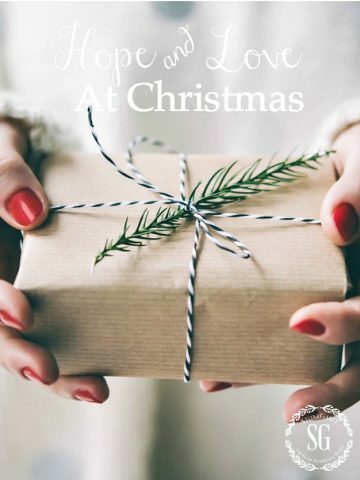 One way that I have found that makes my heart ready for Christmas is to read Ann Voskamp’s book The Greatest Gift. One short reading for each day in December. This will be my third year reading it…..oh how it unfolds the Christmas story. I highly recommend it. Thank you I’ll have to look that book up. I really like Ann Voskamp. Thank you for the good explanation and reminder of the meaning of the season! Did you ever wonder why we stopped concentrating on the second coming of Christ? The church I was raised in never even mentioned His second coming. When I learned as a young adult that Jesus was coming again, I was shocked! From what I am hearing, people that follow End Times prophesy believe that the second coming of Jesus is IMMINENT. Perhaps as we focus on Advent, we should also be sure to prepare our hearts for His return. Thanks for your Sunday blogs. I look forward to reading them! Thanks for the reminder of the true meaning of Christmas! Thank you for the reminder of the true reason for the season. How lovely for Advent. 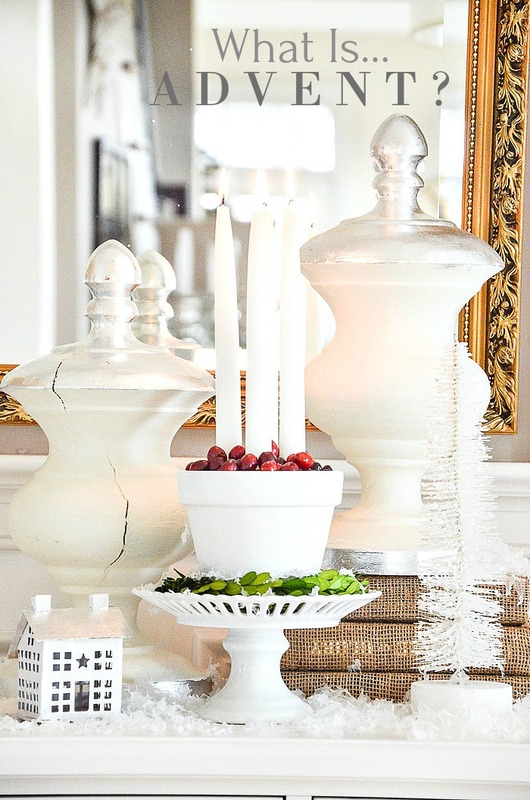 As a child, our Sunday School classes always incorporated an Advent wreath and readings. Today, congregation has a bible study over advent, with daily & Sunday readings and reflections, that we can do independently as well. I cherish my memories, learning of the Advent season as I was growing up. Thank you so much for your article on Advent. It is always good to remind everybody about the true meaning of Christmas and the birth of our Lord and Savior, Jesus Christ. Always love your Sunday posts! Thank you so much for sharing the meaning of Advent love love the season and the true meaning of Christmas!! Thank you for this; it seems not many people are aware of the advent season. I always appreciate your Sunday posts – thank you. Our advent sermon today was Luke 1:39-45…..the bottom line was: Nothing is impossible with God…. prepare our hearts with love, mercy, kindness…all gifts we have been freely given many times over…. we must in turn give to others. God bless! Thank you for your love and kindness! Always look forward to your Sunday inspiring posts. Thank you for the advent lesson ! God Bless ! I am praying for you Norma! God bless you! My prayers are with you and your family at this very difficult time. God Bless you all. 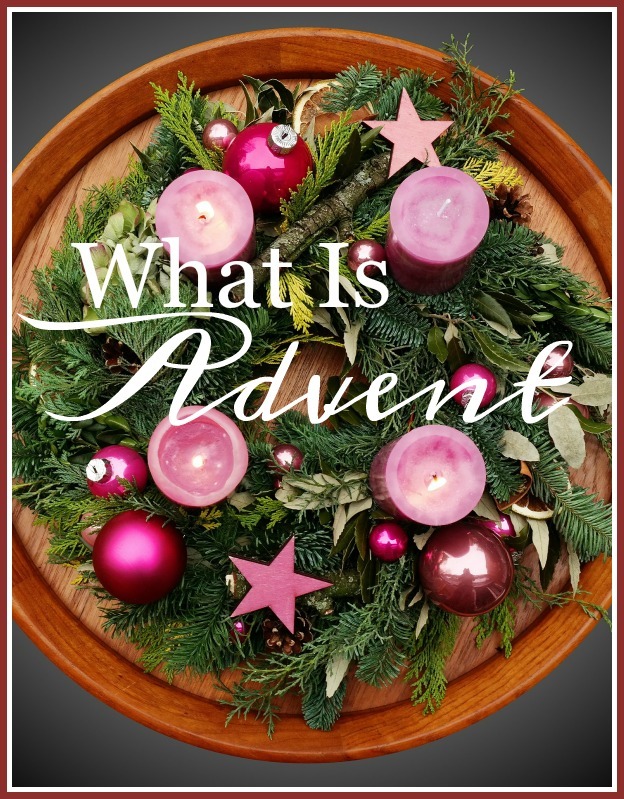 Thank you for sharing what Advent is and the meaning behind it. I appreciate your faithfulness. It is always so good to go deeper here on Sunday morns. God is worthy of praise. Jesus. Praise Him above the heavens and the earth! So glad I took a few minutes to read your blog today Yvonne. I am filled with peace and hope as we begin celebrating this special time of year. It amazes me to learn just how long ago Advent was started. Have a blessed Sunday. Good morning Yvonne. Thank you for the beautiful reminder of why we celebrate this special time of the year. Blessings to you and your family and have a great day. Your messages are always filled with grace and love. I am most appreciative of being reminded of lessons that oft times get buried while living for today. The reminder that The Son will return and reign as King of Kings is truly cause for hope, peace, love and joy! Thank you for continually being a beacon of light for all whom visit Stone Gable! Thank you Lisa. Blessings in this season to you and your family too! Thank your for your informative blog, especially the colors of the candles. I’m afraid I’ve used four white ones in my Advent wreath. Is that still okay? Hi Di J! I use white ones too. They go better with my decor. I think it’s the heart behind how we celebrate. We have an Advent wreath “set” that I purchased. But I have always wanted something creative instead. Pretty and has depth to support the meaning. Good Morning Yvonne. Advent is indeed a time a great anticipation and spiritual preparedness. This observance stems from my childhood and Catholic upbringing. It continues to be a very important time to me on the liturgical calendar. You are so right…the inevitable busyness and rushing about of the season can very easily erode and entirely bury the reason for the season. Blessings to you and your family this Advent. May it be holy, grace-filled and spiritually rich. I look forward to reading your message on Sunday morning.Thank you for sharing and God bless you and your family. Hello Yvonne! I found your blog a few days ago. I love it. I’ m a christian from Germany. Judith, so nice to have a new friend in Germany! Welcome to the StoneGable family!!!! We are so glad you are here. God’s blessings to you and your family at this very special time of year, Yvonne. Thanks you for a beautiful post,it was very informative. MERRY CHRISTMAS! !